Keyword placement in articles is imperative because it increases search-ability and can potentially attract readers quicker. Knowing how to use them and where to put them, however, is the difference between attracting readers looking for similar items and your site losing credibility entirely. 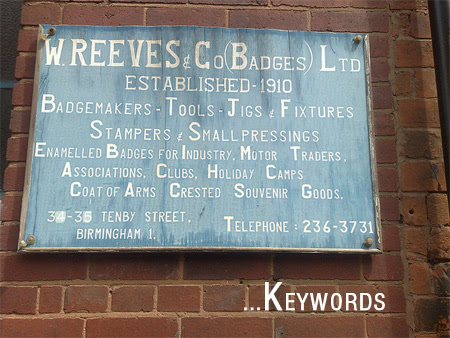 Make your website content as effective as possible with the following keyword tips. There are some things you should keep in mind when considering how keywords apply to your articles. The first thing you should remember is that shorter phrases are more often searched for than longer phrases. For example, there are more searches for the word “marketing” than “online marketing.” Further, both of those terms are more frequently searched for than “startup dot com online marketing.” Generally, phrases with two to four keywords are best as they tend to be the most specific types of searches users enter into search engines. Suppose you are a small business owner who writes a blog in which your aim is to educate and provide tips to other small business owners. After doing a test search, you find that the phrase “how to successfully bootstrap” is searched for often but that the competition for that phrase is significant. Instead of putting that phrase in the middle of a sentence and marking it bold, there are three additional and more effective ways to get the job done. Effective Keyword Placement: When used effectively, keywords shouldn’t stand out in the articles you’ve written. A more effective way is to include keywords in the beginning of the article’s title as well as using it the sub-headers used for organizing articles. Effective Keyword Inclusion: If you concentrate on writing your article, instead of simply attaching a keyword based article to your site, chances are that you’re going to come up with phrases, words, and connections that will already effectively work with what your target keywords are. Search algorithms take this into account and this will result higher search results. Write a well-written and thoughtful article instead of trying to base your entire article on keywords is ultimately the way attract hits. If you concentrate on just keywords and are writing your content based on this, readers will quickly notice and lose interest. We’ve all read these kinds of articles that seem automatically generated, and they’re not at all enjoyable to read.